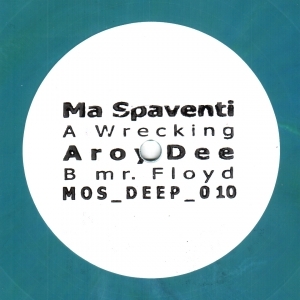 To celebrate his MOS Deep sub label reaching its tenth release, boss man Aroy Dee has teamed up in the studio with Doctor Spaventi for the label’s next release, namely a split 10” featuring two tracks: “Wrecking” and “Mr. Floyd”. First up is Amsterdam's best kept production secret aka Marco “The Doctor” Spaventi. His “Wrecking” is a blisteringly raw house construction with ripping synth lines, delicate hi-hats and slow, crawling kick drums building up to an incendiary, Chicago referencing peak where pinging cow bells shooting in all directions. It’s a bold track designed for maximum dance-floor damage. On the flip, Aroy builds in layers. His “Mr Floyd” is all muted synth growls, clattering percussion and blissful pads. It’s a tortured deep house track that challenges you before really soothing you, but once the inner beauty is revealed; it really has you under an enchanting spell. 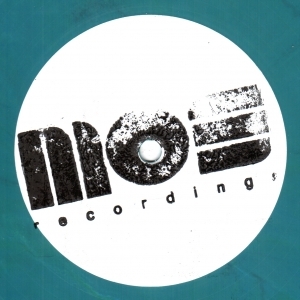 Another quality release from MOS Deep, this time on highly collectible 10” vinyl.